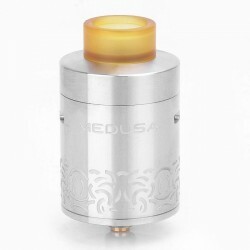 RDA/RTA There are 2 products. Digiflavor Siren GTA 25mm Tank (Mouth-to-Lung RTA tank) The Digiflavor Siren GTA is a clever single-coil RTA designed for mouth-to-lung vaping. Digiflavor is an off-shoot of the Geekvape brand.